104 pages offset and letterpress handsetting and typewriter. stapled or adhesive bound softback. Printed by d. rot and students of Rhode Island. School of design. 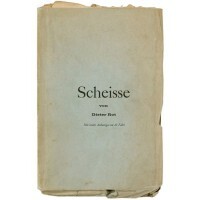 Published by edition Hansjorg Mayer Stuttgart . 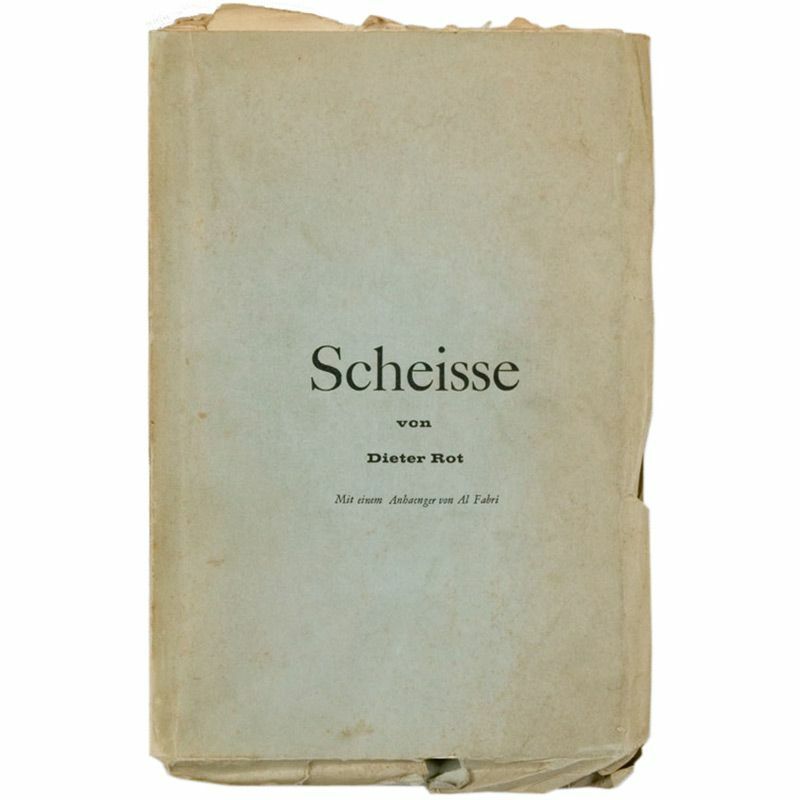 new poems by diter rot with a supplement by Al Fabri. 200 numbered and signed copies. Thereof 170 copies lightblue papercover. 30 de luxe copies half linen and wallpaper with 2 numbered and signed copperplate, engravings on folded sheet, 1 de luxe copy hors commerce leatherbound. Including a 11 copperplate engravings made for this edition. This copy is inscribed to Malcolm Grear in '66 .Edition number 5/200. [ 3921-BK].